Skunk Ape master tracker Tim Fasano gives us his Bigfoot resume and talks about his collegiate background as a Philosophy major. Tim also talks about what keeps him going in Bigfoot. Look for for some upcoming videos from Tim in the near future that he says you must watch! 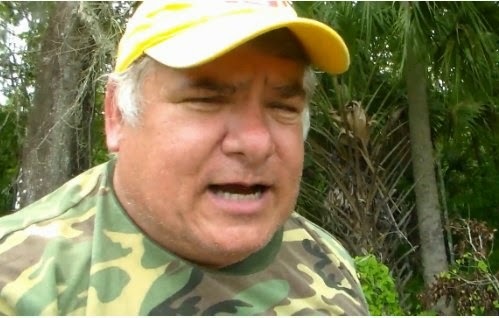 Remember, you can see Tim in person at the upcoming Florida Skunk Ape Conference where he will be speaking. "I am thee most prolific Bigfoot researcher in the world." WILD BILL old Marine ans Bear Hunter dont has time achasin tham woman folk !!! ranchers in Brooks Co., Texas, said they won’t eat wild hogs caught near the border because they are known to feed on dead illegal aliens.